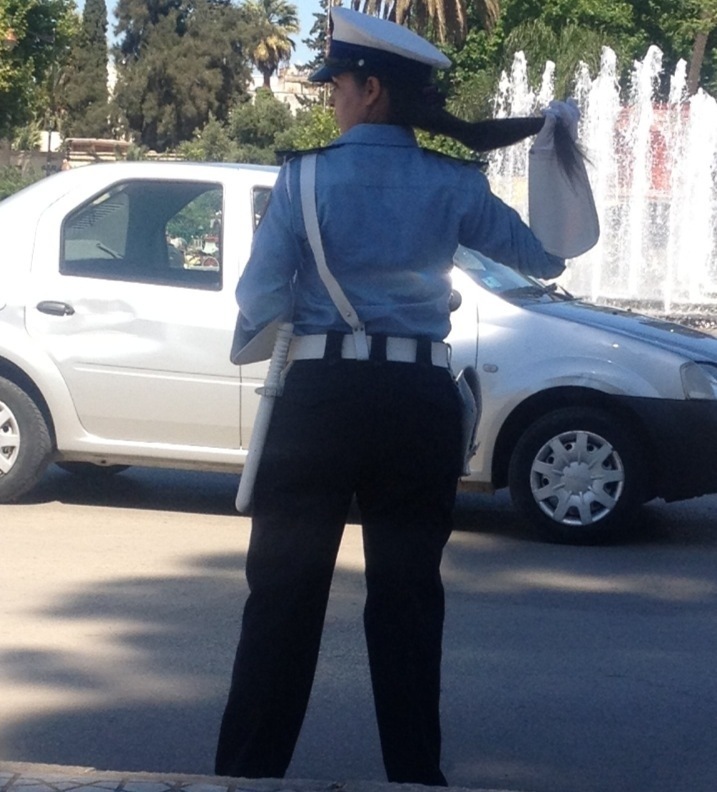 STORY & PHOTOS OF POLICEMEN & POLICEWOMEN! 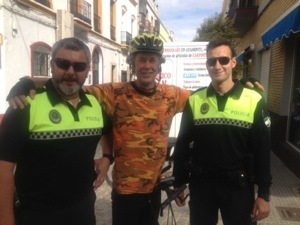 I take the ferry to Spain, there were 2 policeman who were giving me directions to the phone store , I showed them the Portuguese photo then they offered to have their photo taken.. I said “Heck Ya.” This was the start of collecting policeman photos in every country I visited. 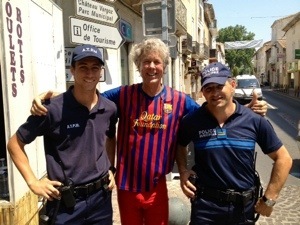 I’m biking around France, shopped at a farmers market and spotted 2 policeman. I asked him for photo? No. I show him the Spanish photo, he walks away. He joins his partner across the street, then he waves me over. 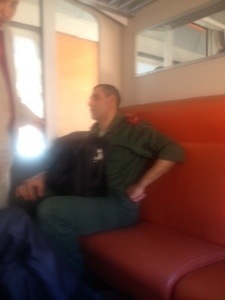 TOOK SOME CONVINCING BUT I FINALLY GOT THE PICTURE OF FRENCH POLICEMAN. 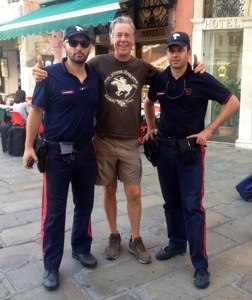 My first day in Venice, Italy at the ATM I spotted 2 policeman and they eagerly agreed to the photo. 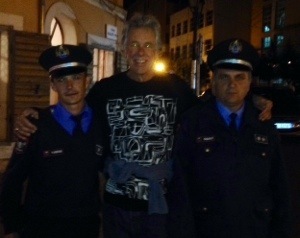 THESE ITALIAN POLICEMAN NEEDED NO CONVINCING TO HAVE THEIR PICTURE TAKEN. 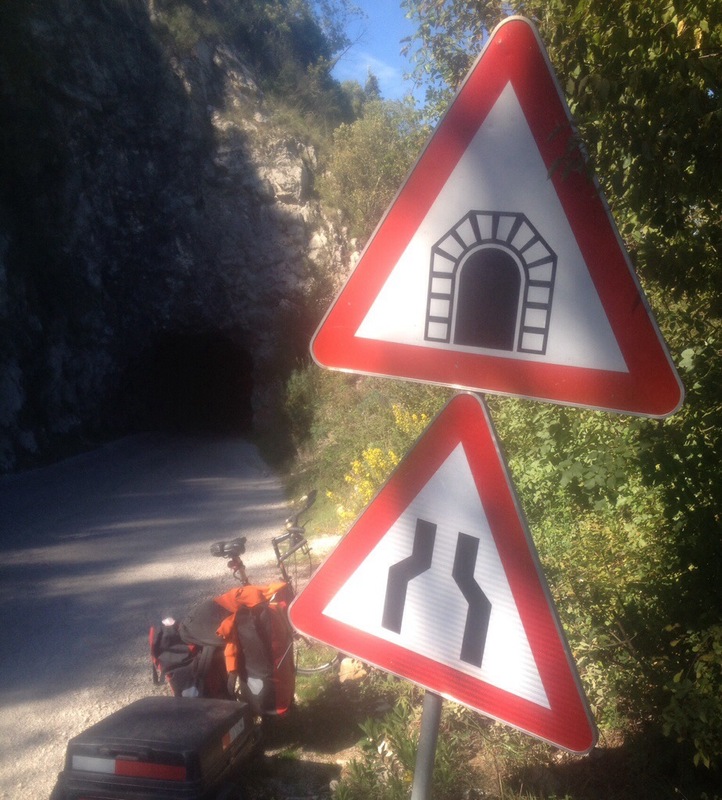 Slovenia was a real task, I had to compromise some with this one. First, there are hardly any police around! 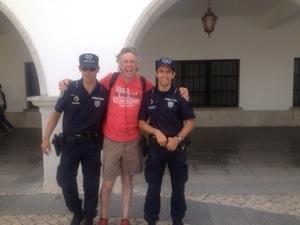 I had always tried to get 2 policeman together, that wasn’t going to happen here. 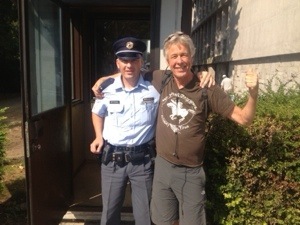 THIS IS THE SLOVENIAN PARLIAMENTARY BUILDING “POLICE” GUARD. THAT’S THE BEST I COULD DO. There are really no police to be found and not 2 together for sure. 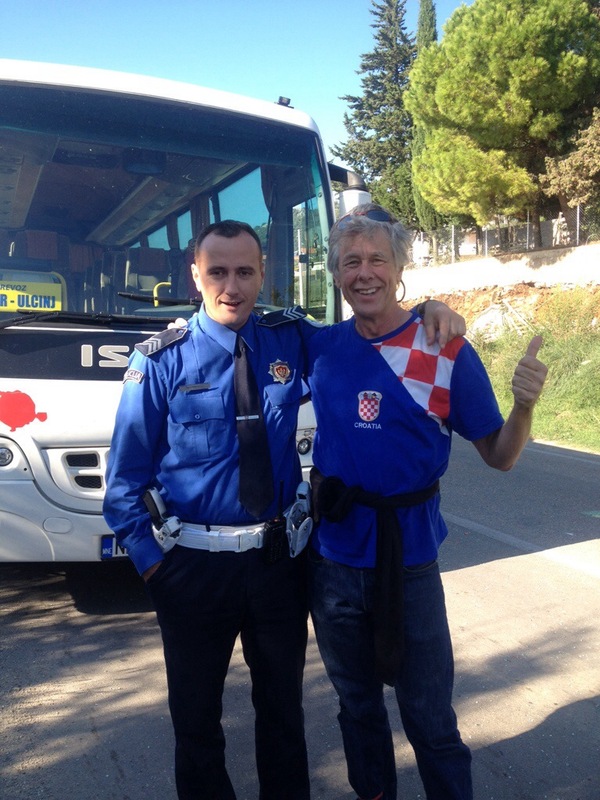 The Croatian policeman shot was just about as difficult as the Slovenian. I hardly ever saw the police here either. 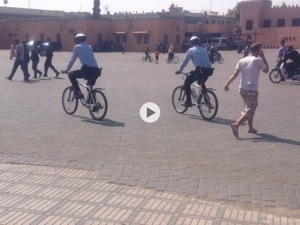 But when we were dropping off bike boxes at the ferry dock, I spotted several armed “dock” police. 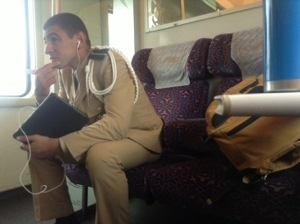 THIS IS THE CROATIAN MARITIME POLICE, AGAIN IT’S THE BEST I COULD DO. 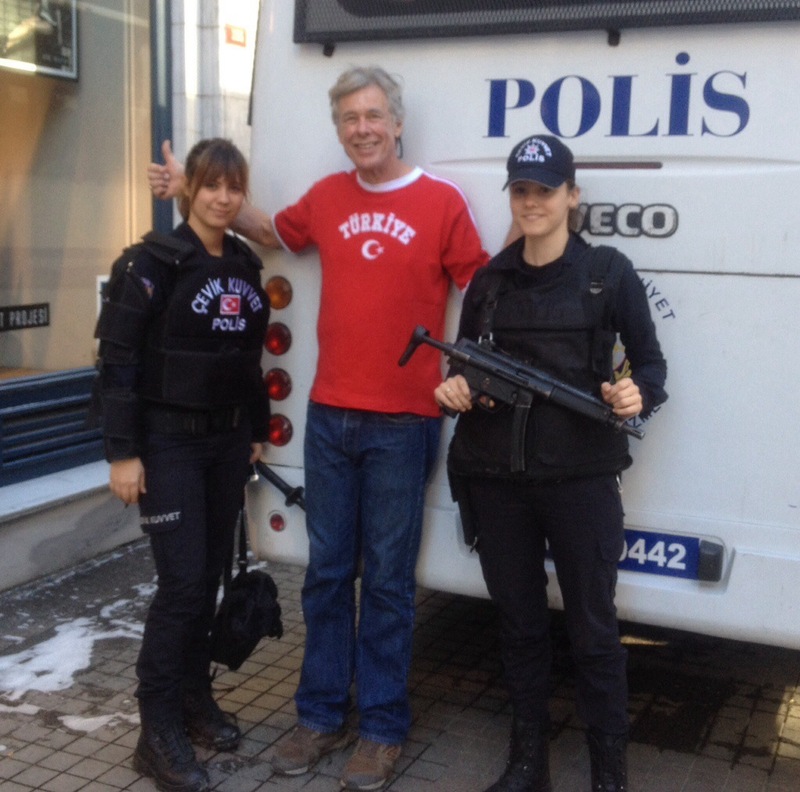 The Montenegro police photo was totally by “accident.” I was only going to be in Montenegro for 24 hours, so my chances were pretty slime. 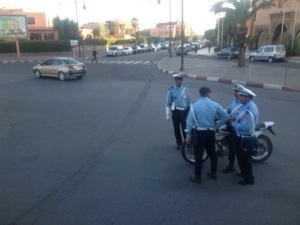 The bus I was riding in got in an accident, so the police arrived to take a report. 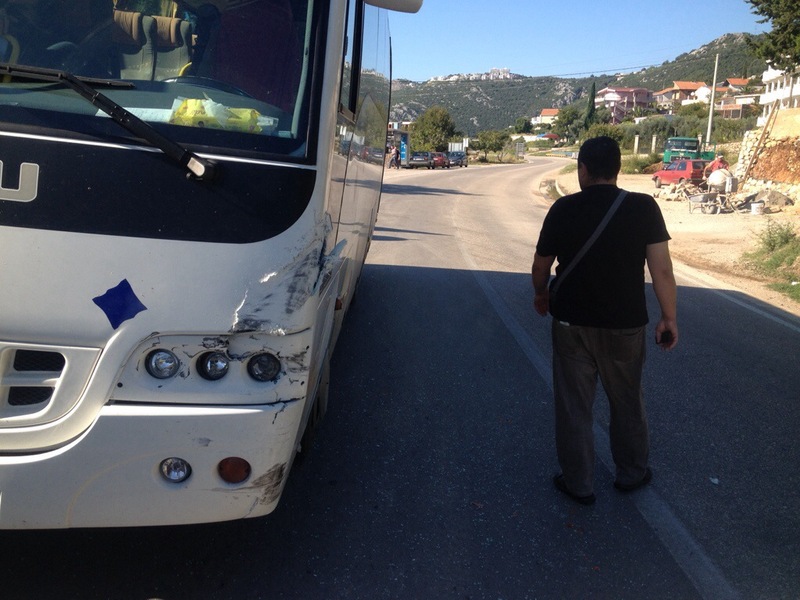 THE MONTENEGRO POLICE DELIVERED THIS PHOTO BY WAY OF AN ACCIDENT. 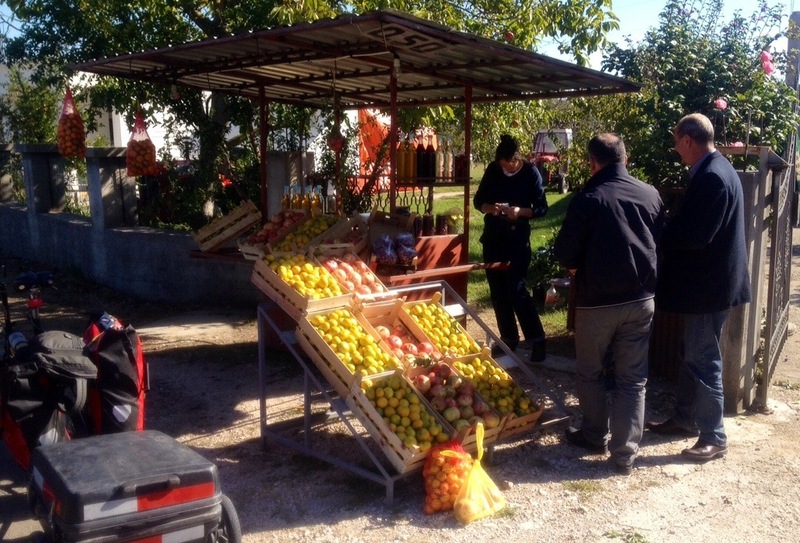 Albania was fairly easy, the first night in town I walked into town with a local. He convinced them it would be OK, somehow? 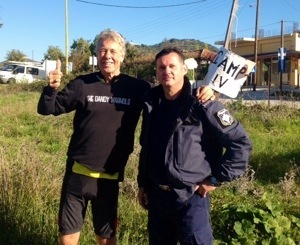 The Greek policeman photo should have been of at least 2 policeman. 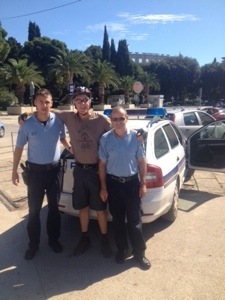 Of the four policeman, only this one agreed to a picture. 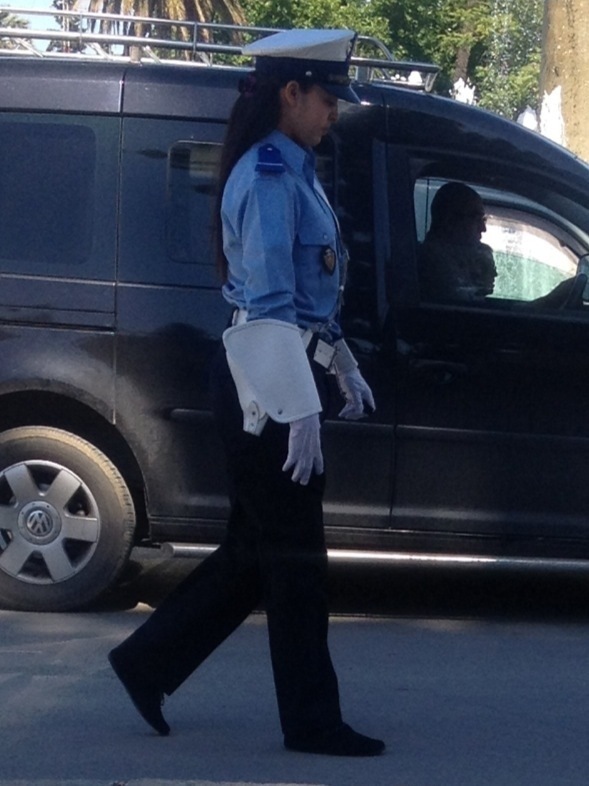 This next photo of the Turkish police is the Gold Standard from which all policeman photos should be judged. 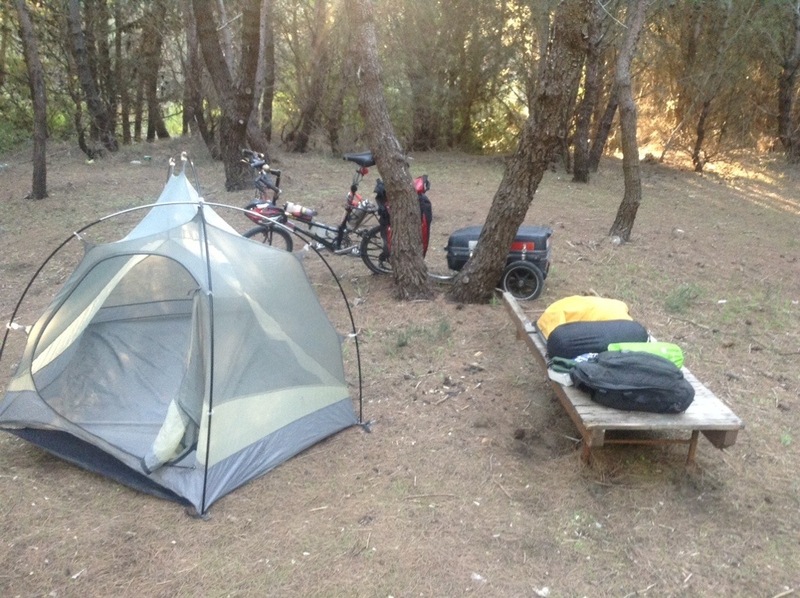 This entry was posted in ALBANIA, CROATIA, FRANCE, GREECE, ITALY, MONTENEGRO, MOROCCO, portugal, SLOVENIA, SPAIN, TURKEY on December 4, 2013 by jeffsbiketour. I´m feeling the pressure to get south, the year long trip is in fact only a year,. not forever. 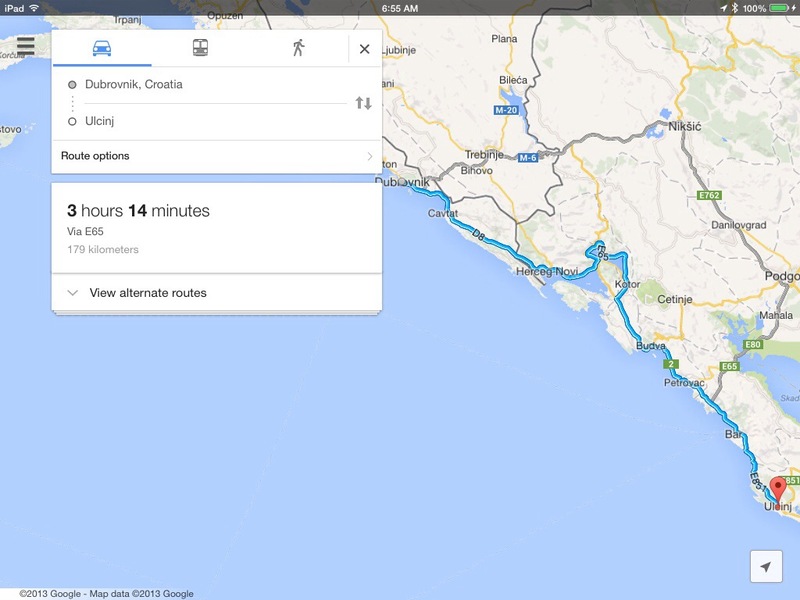 I rode the bus out of Dubrovnik because of the narrow roads and the bus/truck traffic. 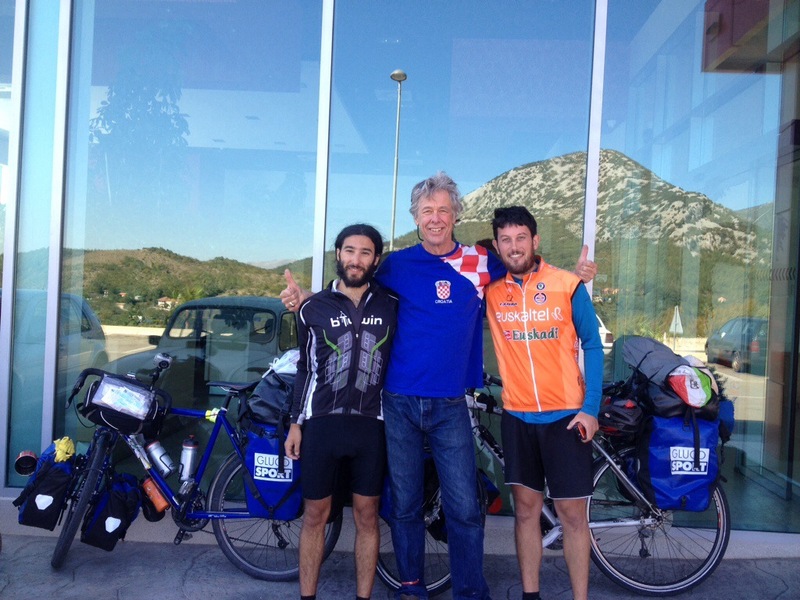 I took the bus to Budva, I wondered around the bus station trying to figure out what to do. The weather was excellent. 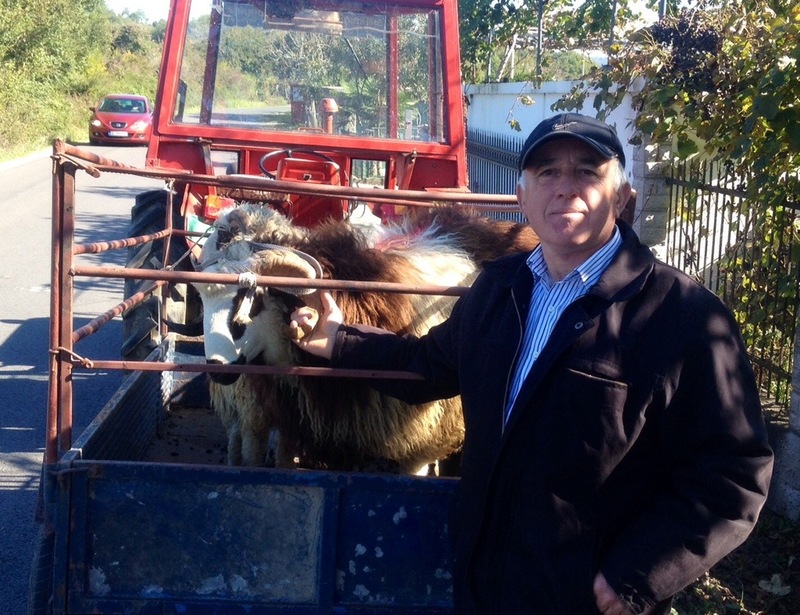 I still have a case of the travelers blues, I ask “when is the next bus to Albania?” “10 minutes” I´m in. I load the bike on and off we go. PHOTO TAKEN WHILE LEAVING THE COUNTRY.! THIS PHOTO IS TAKEN WHERE THE ROAD WRAPS AROUND THE BAY. So everyone is off the bus except me, we have maybe 15 miles to go. I decide to sit behind the bus driver for a great picture window view. There is the ticket collector and the driver, who is talking on the cellphone. INo one speaks english, but I make it known that driving and talking is no good. 30 seconds later BAM! < A CARPULLS OUT OF NOWHERE AND THE BUS RAMS IT AND SENDS IT FLYNG ACROSS THE ROAD. NOTHING REALLY HAPPENED TO THE BUS, THAT IS THE CAR DRIVER THAT CAUSED THE ACCIDENT. I flag the traffic around the accident while they try to sort everthing out. After an hour they direct me to remove my stuff. Another bus should be along, soon. 10 minutes later the bus pulls up, the door opens, I point to my bike and gear. He shakes his head no, closes the door and drives off. OK, so I put the bike together and ride off. 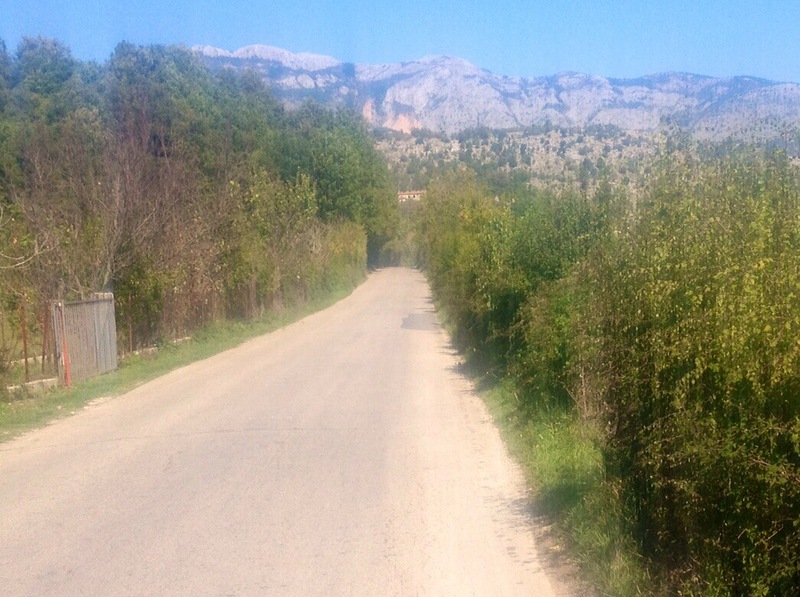 There´s virtually no traffic, it´s sunny, life is good. But it´s late so I stick out my thumb, score, I get a ride to town. I talk with a travel agent, I tell her my crash story, I tell her I should get a refund (yea right). So I go ask at the bus station. I´m told I would have to go back to where I got the bus and ask, that´s not going to happen. I just wanted to see what they would do? nothing. The travel agent said there was camping just out of town. I ride out, the season is over, it´s a ghost town. 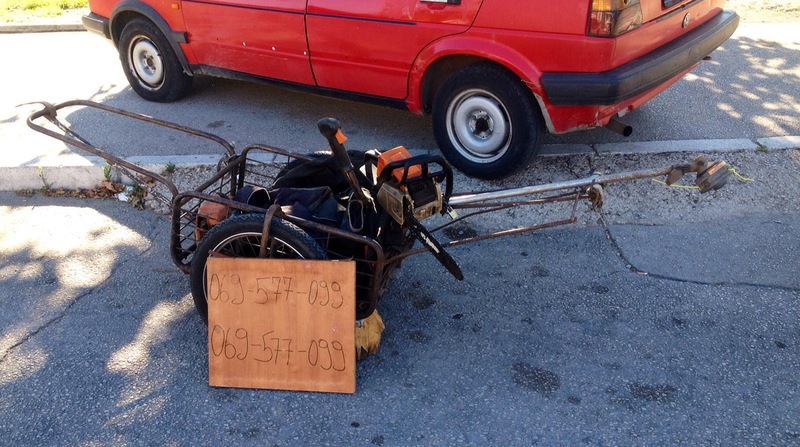 NEED TO HIRE A LANDSCAPER FOR A DAY? 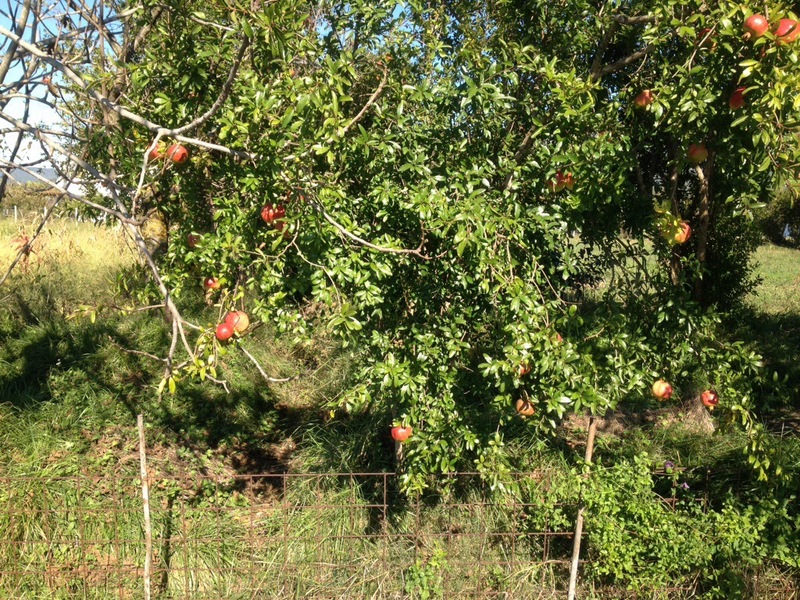 I TOOK THIS PHOTO, THEN THE FARMER WENT IN AND GOT ME AN APPLE, PEAR AND GRAPES FOR THE ROAD. Nearly every car that passes me, in both directions waves and honks, with a thumbs up! 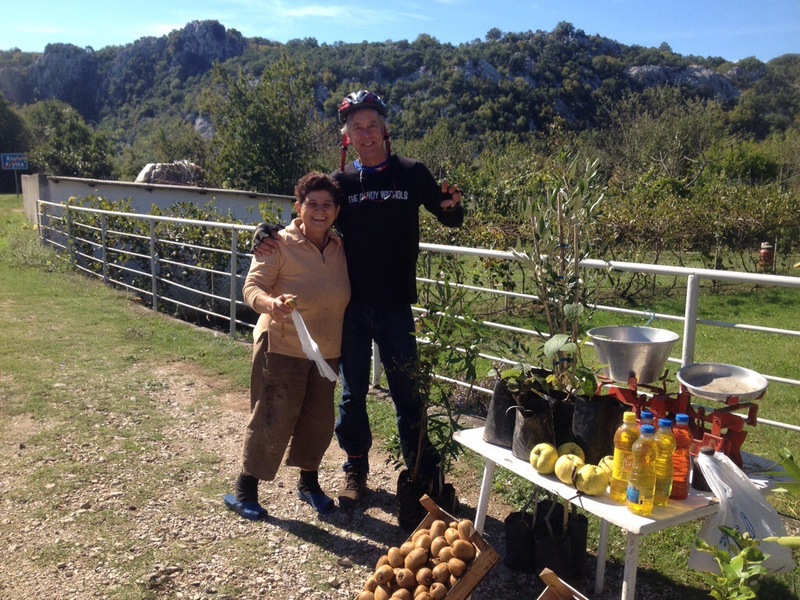 I´ve never been anywhere where people are so friendly. It was absolutely amazing and heart warming. I´m regretting my decision to bus through the country. 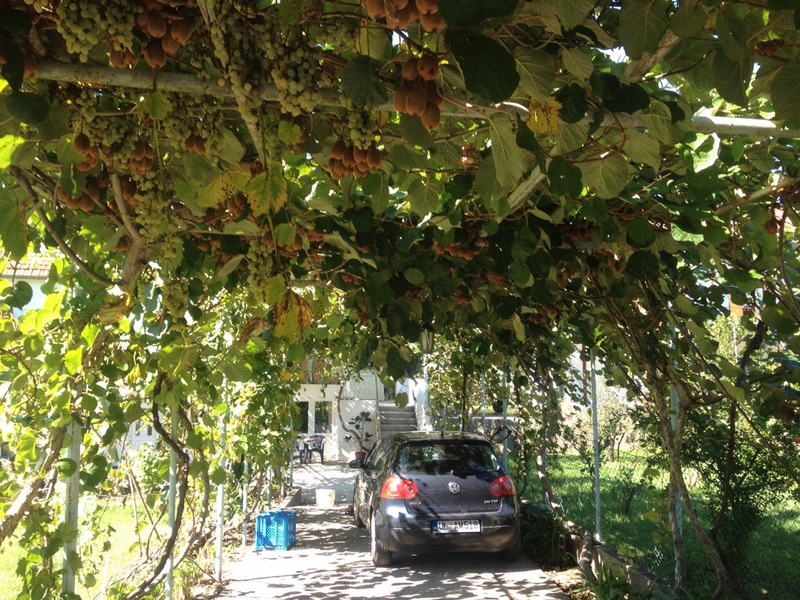 HERE´S A CARPORT WITH THE BIGGEST KIWI FRUIT I´VE EVER SEEN. 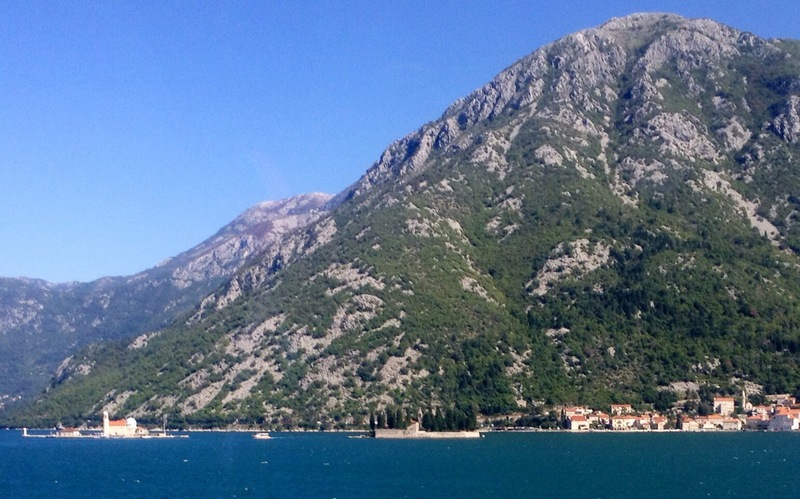 Montenegro is on my short list of countries I want to visit in the near future. 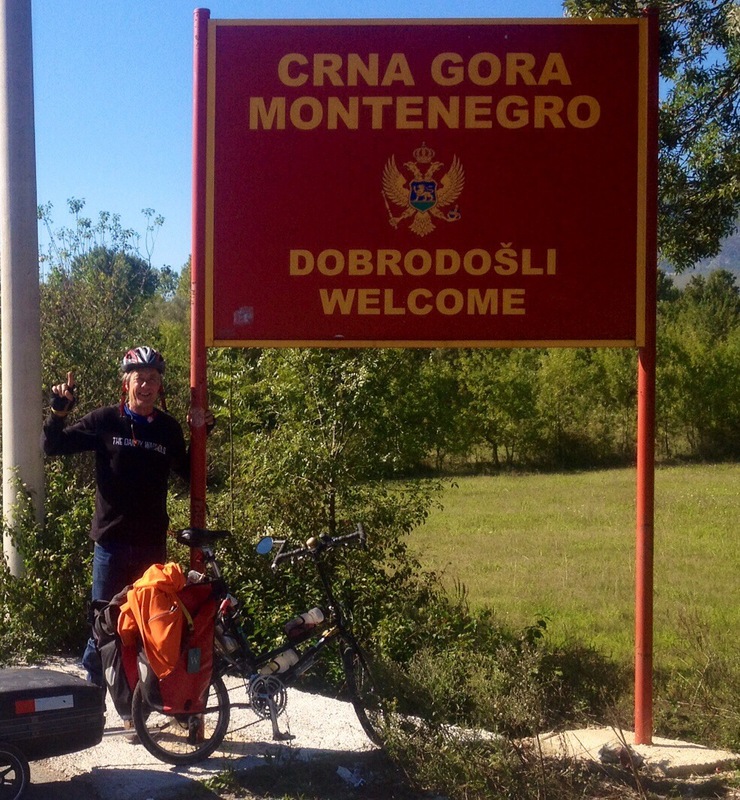 This entry was posted in MONTENEGRO on October 12, 2013 by jeffsbiketour.